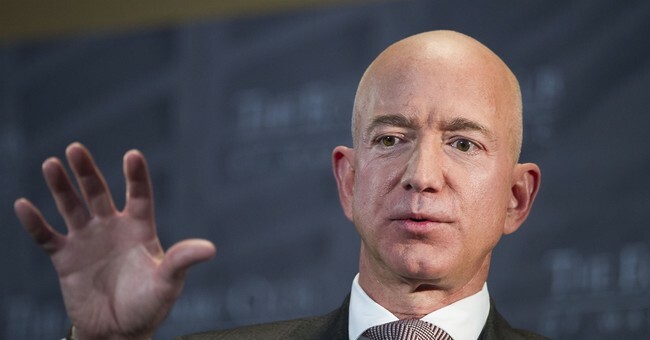 Jeff Bezos, the founder of Amazon and owner of the Washington Post, is being threatened by American Media Inc., the parent company of the National Enquirer, with the release of "intimate photos" if Bezos doesn't end an investigation into the company and its alleged political ties. About a year ago, the Enquirer published a story featuring "lurid texts" reportedly between Bezos and his mistress Lauren Sanchez. Since then, Bezos has had private investigators looking into how the tabloid was able to get the texts. According to Bezos, this was met with a threat to abandon the investigation or risk having the photos exposed to the public. According to a public statement by Bezos, the conditions of AMI are that they will publish Bezos' photos unless he and Gavin De Becker (Bezos' security chief) publicly state that they "have no knowledge or basis for suggesting that AMI's coverage was politically motivated or influenced by political forces." AMI is currently owned by David Pecker, a friend of President Trump. Pecker has insisted that they were able to get the texts and images legally. When asked, Trump said he didn't know AMI had been investigating Bezos. In an interview on ABC's "This Week," Elkan Abramowitz, Pecker's lawyer, described the leaker of the photos as "somebody close to both Bezos and Miss Sanchez," who has been providing information to the Enquirer for years. Abramowitz insisted that the situation didn't involve any blackmail on the part of his client.